SpongeBob PuzzlePants. 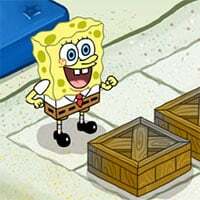 Are you ready to give Spongebob a helping hand by figuring a way around messy boxes. Your goal is to get to the title tile while pushing around boxes, collecting treasures, and avoiding traps. A puzzle game that’ll make you think and have fun using your brain. SpongeBob PuzzlePants is a free online puzzle game on Round Games.